In Edward Said’s celebrated book, Orientalism, he discusses the ways in which Europeans–particularly the French and the British–imagined the East in its literature, art, and journalistic discourse, as a means of fully defining the Occident, or the West. 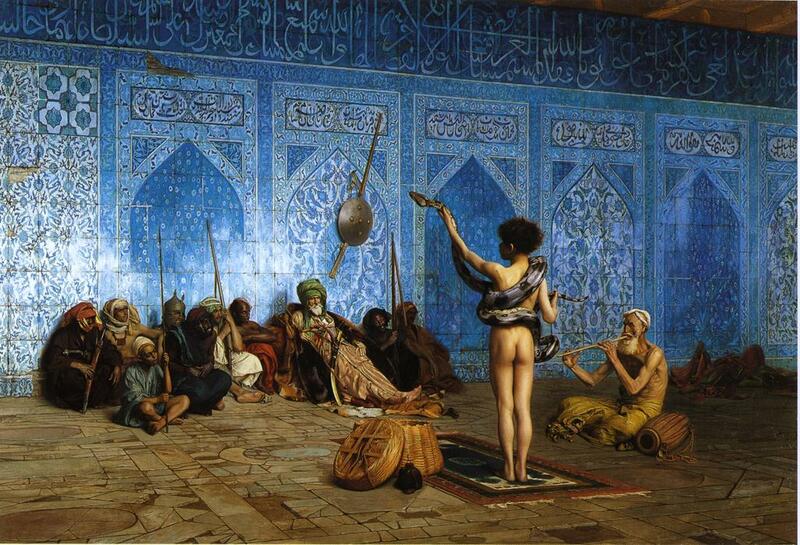 By creating an image of the “Orient” as exotic, with its languid and eroticized culture, Europeans could imagine themselves as a rational and civilizing force whose mission was to subjugate those deemed to be “Others” to establish colonies and vast empires that would give them access to natural resources and cheap labor to achieve a kind of wealth that would sustain the growth of their industrial and capitalist societies. 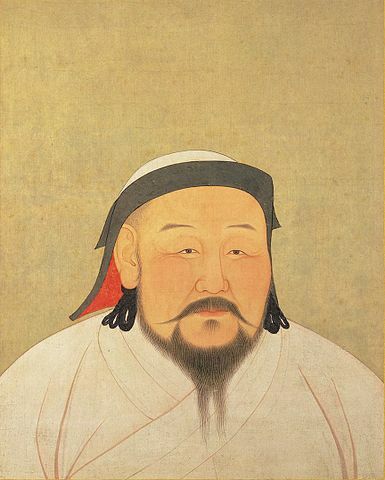 The city of Xanadu no longer exists having been destroyed by the armies of the Ming Dynasty in 1369. Through Coleridge’s poetry, the story of Kubla Khan is told by generation after generation, alive in our imaginations. 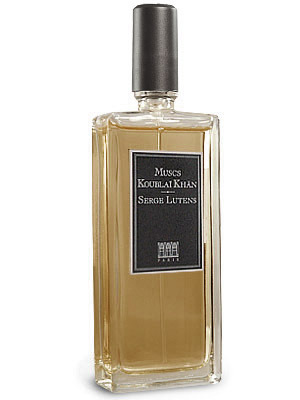 Clearly, Serge Lutens and Christopher Sheldrake, the creators of the perfume Musc Koublai Khan, were similarly inspired. Perfumes act upon our experiences and memories. I love incense because it reminds me of Buddhist temples; I love rose because it reminds me of my mother’s garden. But is it okay to market a product based on a rather violent history of subjugation and oppression? Do we buy into the fantasy of colonization when we buy a Luten’s scent? I really like Lutens perfumes. They are masterful creations. However, I have a hard time swallowing the storyline that is used to sell it. Can we give the exoticism a break? 12 Responses to "Serge Lutens’ Pleasure Dome: Musc Koublai Khan"
It doesn’t make me any more comfortable with the ridiculous ad copy, but it at least it makes the fact that I read the ridiculous ad copy seem like less of a waste of time! I know I probably shouldn’t be taking this as seriously as I do. I mean, no one has banned an EM Forester or Virginia Woolf novel for being colonialist. But then again, they were writers evoking the spirit and history of their moment, while perfume companies are just selling expensive commodities. It irks me that they use this kind of language. I find the terms “Jeremy Lin” and “fortune cookie” to be offensive if used in the same sentence! You are right–it is very much about the tension between cultures and representations of those cultures. In our globalizing world, the boundaries between us and them have almost disappeared, and until they have totally done so, marketers will continue to exploit Otherness to their own gain. *sigh* Will read about Borneo 1834 on your blog. I thought about including that perfume in this post, too, but there are so many of this ilk that I decided to lay off! HA! So well said. Of course you are right about advertising. I still find it rather fascinating though, be perfume is abstract, and I feel like perfumers can get away with this kind of thing more easily than, say, a fashion designer. Modern commercial perfumery is steeped in Orientalism – there’s even a whole category of perfume characterized AS Oriental! And with Borneo 1834, Lucky Scent claims that date marks the first Western “discovery” of patchouli. I mean, these fragrances really are problematic. Sniffing them mean somehow being on the side of the colonialist, the winner, the explorer and appreciating his spoils from the exotic Other. That’s all I got. No conclusion. 🙂 Thanks for the post. I find the question of representation fascinating in perfume, simply because you can’t put an image or a feel or taste–it’s all about the narrative and language constructed around it that produces the aura. That’s why I like exploring in this blog the relationship between writing (whether it’s a review or ad copy) and olfactory experiences. Books and poetry since the 17th century at least have stirred people’s imaginations about places that they will never ever go to, or just might not want to. The journey taken by the imagination through words is quite often enough. And that’s the way perfume should be, too. I work in the art business, and sometimes when I try to explain the work of art to someone, they say: I don’t want to know the story. I just have to like what I see. You can doll up a bottle of perfume through advertising, fancy bottles, and other frills, but it’s the juice that matters. Yes, but the experience of the juice (for me anyway, I’m not a modernist) includes the bottle, the name, the color of the juice, and all that other stuff. MKK is complete for me, for better or worse, because it conjures up that story, gives me that name. Same with Poison and its amazing bottle (would I feel the same about it if it’d been called Flirt or Lovely, in a clear boring bottle? ), etc. Perfume has a mise en scène, to me. Yes, the juice is a huge part, but we’re buying up and sniffing up other parts of the fantasy. I was just at Krigler at the Plaza Hotel the other day (keep an eye out for the upcoming post), and one of their selling points was about the glamorous people who have worn their scents–Grace Kelly, Jackie O, the King of Jordan, etc. All of it adds to the allure because they are signifiers of luxury, taste, sophistication, and even royalty. Chanel No. 5 was famously worn by Marilyn Monroe. Who knows how many bottles of it were sold because she said it was the only thing she wore to bed! I like thinking about this stuff, not because I’m opposed to the idea of branding since I buy into it, too, as my growing collection of bottles can attest. But I want to know WHY it’s so appealing, how advertising plays on our imaginations and possibly insecurities we have about beauty, social class, and cultural signifiers. The history of perfume is so rich and fascinating. I love it! And on a side note, I keep waiting for someone claiming to be from Serge Lutens to chime in, angry that bloggers aren't buying the marketing. It happened with Lubin's Marie Antoinette story for Black Jade. I’m HOPING that the Lutens people will chime in. Bring it on! What an interesting discussion. I realize that the perfume industry as we experience it is an Occidental contraption. And in a quite occidental way it’s either black or white. So a few years ago we decide to discover the Middle East and suddenly every dime store is filled with oud fragrances. As much as I like oud I find the whole situation hilarious. This conversation got me wondering. Is there an Occidental genre in the “oriental” mind? And with the word “oriental” we cover a wide variety of olfactive fantasies covering cultures from the Middle East to Japan. I would be really eager to hear from someone coming from a geographically oriental culture how they define the term “oriental” in general and in fragrance in particular. And of course if there is such a genre as “occidental”.